Posted on Monday, September 28th, 2015. - Filed under 65-Inch. Are you thinking about LG 65UF7700? I’m quite sure that you are thinking about LG 65UB9200 as well. What’s the relationship between them? Maybe most of you already know that the LG 65UF7700 that comes in 2015 is the successor of the LG 65UB9200 from 2014 lineup. There are still few aspects of LG 65UB9200 that remains used on LG 65UF7700. But there are also few differences between them. Do you want to know the similarities and differences between them? Is the successor model a better choice for you? To answer that question, you can stay tune on this article while We also summarize which of them is more suitable for you. What are the similarities of the new LG 65UF7700 and the older 65UB9200? If you only have limited time, you can check out the table below. But if you have more time, We also talk about it in details after the table. After seeing the table above, now We can talk about the main similarities of those two TVs in detail. As the 4K UHD resolution now become standard resolution to replace Full HD resolution, most of the new TV introduced on the market use 4K UHD resolution. That’s the same case of 65UF7700 and 65UB9200 that come with 4K UHD resolution. With 4K UHD resolution, you can enjoy more brilliant picture quality than Full HD (Technically up to four times). But as We all know there’re still limited contents that available in original 4K resolution. But you don’t have to worry about that since those two TVs are completed with 4K Upscaler technology that’s able to bring HD contents into near 4K picture quality. In the picture technology aspect, LG 65UF7700 and 65UB9200 come with almost the same picture technology. They use In Plane Switching (IPS) panel that bring wider viewing angles as well as deliver more accurate color details on the TV screen. The picture engine of those two TVs is also the same. They use Tru-4K Engine that able to bring brilliant 4K picture quality as well as optimize HD contents so that It’s able to be delivered in near 4K picture quality. 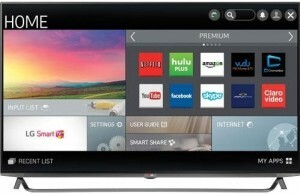 LG 65UF7700 and LG 65UB9200 come as Smart TV. 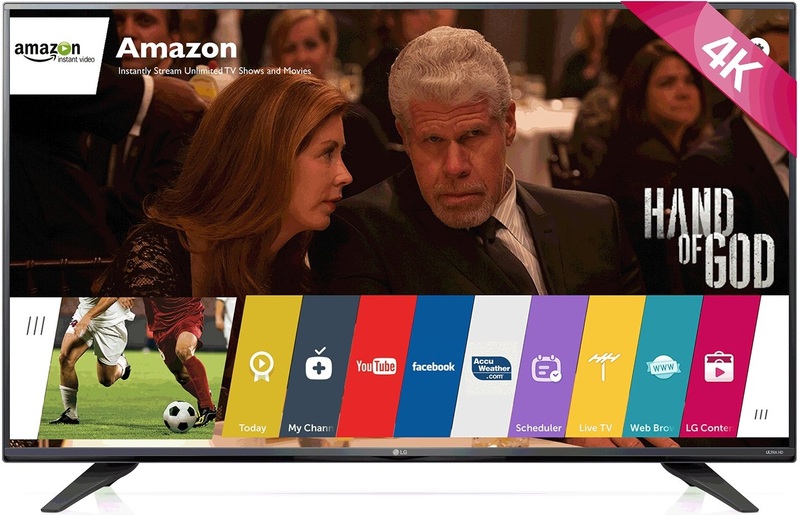 With Smart TV platform, you can enjoy premium entertainment from your favorite content providers. They are also completed with built-in wifi that connect to your home network fast with minimum hassle. Those two TVs are not completed with any 3D feature so that you can only enjoy 2D entertainment without any possibility to enjoy 3D entertainment on its screen. Before We move forward and talk abut the difference of LG 65UF7700 and 65UB9200 in details, You can check out the table below if you need a quick reference regarding the difference of those two TVs. Looking at the table above, We can see that there’re few differences of LG 65UF7700 and LG 65UB9200. Most of the differences come as improvement although there is also difference of Speaker System that can’t be categorized as improvement. Here’s the explanation about those differences. As part of the new 2015 lineup, LG 65UF7700 comes with the new WebOS 2.0 as its Smart TV platform. While the older LG 65UB9200 still use the older LG Smart TV as its Smart TV platform. The new WebOS 2.o comes with more beautiful design as well as intuitive user menu. It also comes with more smart apps as well as improved smart functions. The new WebOS 2.0 on LG 65UF7700 also can run faster with the help of quad-core processor that installed on LG 65UB8200. The older LG 65UB9200 just use dual-core processor that deliver slower processing time. The new LG 65UF7700 come with magic remote. With magic remote, you can enjoy more control to your TV and the Smart TV platform. The key feature of the magic remote is the ability to control your TV using voice interaction with voice interaction with LG Voice Mate technology. The older LG 65UB9200 comes without any magic remote. It only comes with Standard remote. There’s a different on the refresh rate technology between those two TVs. The new LG 65UF7700 use TruMotion 240Hz as its refresh rate technology, while the older LG 65UB9200 use Ultra Clarity Index 1320. But when It comes to the result, both of those refresh rate are able to deliver smooth fast motion images so that you can enjoy your favorite action movies and sports with no motion blur. So We can say that the TruMotion 240Hz and Ultra Clarity Index 1320 are the same technology that named differently along with different lineup year. 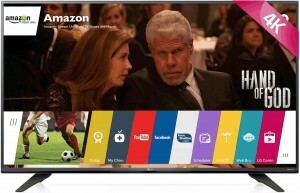 Are you looking for 65-Inch Smart TV with good sound quality? Unfortunately the new LG 65UF7700 comes with less powerful speaker system than the older LG 65UB9200. The new LG 65UF7700 comes with only 2Ch 20W speaker system, while the older LG 65UB9200 already use 2.1Ch 35W speaker system. But don’t worry about that. You can attach additional soundbar or external speaker system so that you can get more immersive sound quality just like what you want. As the price of the TVs are varied from time to time, We can’t easily talk about the TV comparison from the price aspect. Basically LG 65UF7700 is priced at less expensive price than LG 65UB9200. But for some exception, you can maybe find LG 65UB9200 at the less expensive price because of the discount from the retailers since It belongs to the older lineup. Is the LG 65UF7700 as the Successor Model Better? Related Post To LG 65UF7700 vs 65UB9200 : Is the Successor Model Better? Sony XBR65X930E vs XBR65X930D : What are the Similarities and Differences Between the New and Older Model? XBR65X930D is one of popular choice for 65-Inch Smart 4K UHD TV in 2016. In 2017, You can find Sony XBR65X930E as the successor of XBR65X930D. As the new model, you can find there are several similarities between..